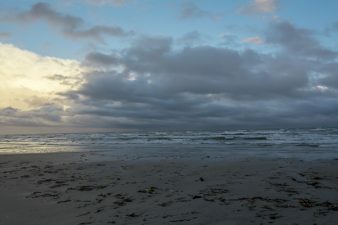 What starts out Friday as a leisurely drive along the Gulf Coast to scout out Galveston attractions almost becomes a long swim home when the weather turns nasty and torrential rainfall drowns our plans. We manage to scurry into the Lone Star Flight Museum before the bottom falls out. While most of the airplanes housed here are old favorites that we’ve seen many times before, it is nice to note that many of these planes are airworthy and available for a flight experience flight from the museum. 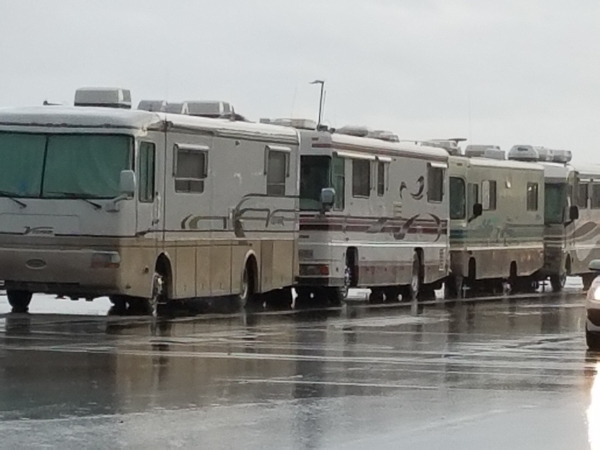 As we pull into Galveston along the seawall we are amazed to find RVs, campers and pickups with cooker and flatbed trailers attached parked in the seawall parking spaces lining this road. The RVs and Campers are even set up with slides out and levelers down. A quick visit to the Visitor Center supplies the answer to this unusual parking arrangement. Turns out, we are a day early for the Mardi Gras parade that will proceed down Seawall Blvd. Beautiful pictures! It seems the sky always looks beautiful after a storm….as if to apologize after reeking havoc on us earthly beings. We had lots of rain, little wind. Hugs to you both. You said that so beautifully and it is so true! Hugs to you guys too.